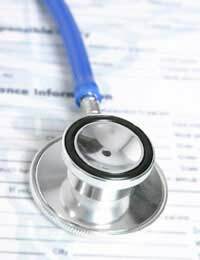 It is all very well knowing you have medical insurance and that your future costs of treatments of hospitalisation are likely to be covered by your policy either because you chose to buy it yourself or because medical insurance was included as part of your employment package, but do you know exactly how to go about making a claim? If you have been to see your GP regarding a health issue and the doctor has decided that it is in your best interests to go ahead with some form of treatment, he or she will make a referral for you to see a doctor who specialises in whatever complaint is bothering you whether this is a surgeon directly, or the type of doctor who carries out more investigative procedures such as a radiologist or cardiologist. It is at this point that you should mention you have private health insurance as the referral can make a note of this and allows the staff to know that the treatment can be charged to your insurer. Following your appointment with your GP and as soon as possible, you should inform your insurer of the possibility of needing to make a claim so that you can endeavour to find the correct procedure for doing this, making a note of names and contact numbers for future reference. When the person accepting the referral is notified that you are a private patient they will normally be able to schedule you into their private clinic following the first appointment unless the type of treatment required is relating to a condition that cannot be treated in a private clinic such as many fertility treatments or dental procedures. By doing this the private patients will not infringe on the waiting lists of the NHS patients and where possible, the private patients will be allocated to a private hospital and treatment scheduled as soon as possible. Following the appointment you should dig out your policy and read it thoroughly ensuring that you know exactly what is covered and what is not.If the consequential treatment is deemed to be from an existing condition that has already been diagnosed, the chances of you having full coverage for this may be low. Likewise if the complaint is found to be due to reasons such as smoking, alcoholism or drug related. Insurers are usually quite clear about what is and what is not covered within these domains. When you are considering taking out private health insurance your insurer will require you to fill in a full medical questionnaire and will usually require a statement from your GP to verify your current health status. It is also very common for the applicant to disclose their age, whether they smoke, whether the use recreational drugs, their existing medications and how much alcohol they drink. All of the factors influence the insurer’s decision whether it would be cost-effective to insure you and if so how much your premium should be.Insurers have the right to refuse insurance for anyone and many private insurance companies have age limits of their clientele although there are some who will insure older members of the public. Different insurers handle the cost management in a variety of ways.Some will only cover some of the cost, some will require you to pay the costs initially and reimburse you after the treatment whilst others will pay the hospital directly.Always make sure you know exactly what type of payment plan you have before the treatment is received. When you are notifying your insurers of any potential treatment, it is advised that you read your policy thoroughly before making that call.Always be in possession of all the facts so that you are more aware of your status as a private patient.